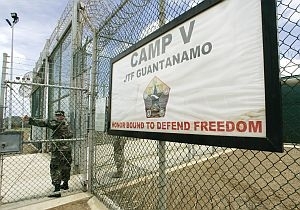 In June, the U.S. Supreme Court restored habeas corpus rights to terrorism suspects being held at Guantanamo Bay. The ruling opened the door for detainees to challenge their detention in U.S. Federal Court. Emi MacLean is a staff attorney with the Center for Constitutional Rights in New York City. She says the center has functioned as a home base of sorts for lawyers representing Guantanamo detainees. Emi MacLean will be speaking at 7:00pm in Brattleboro tomorrow at the Robert H. Gibson River Garden, 153 Main Street, about the Supreme Court decision. She spoke with VPR’s Neal charnoff about the ruling. Note: the Robert H. Gibson River Garden is at 153 Main Street at the intersection of Main & High Streets in Brattleboro.